The fact that Stonehenge was not built overnight does not in any way diminish the scale of the undertaking. 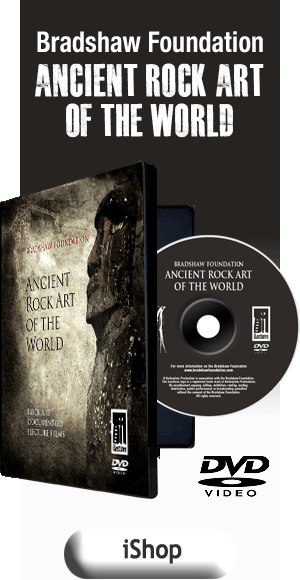 But how could this have been achieved by a Neolithic society? 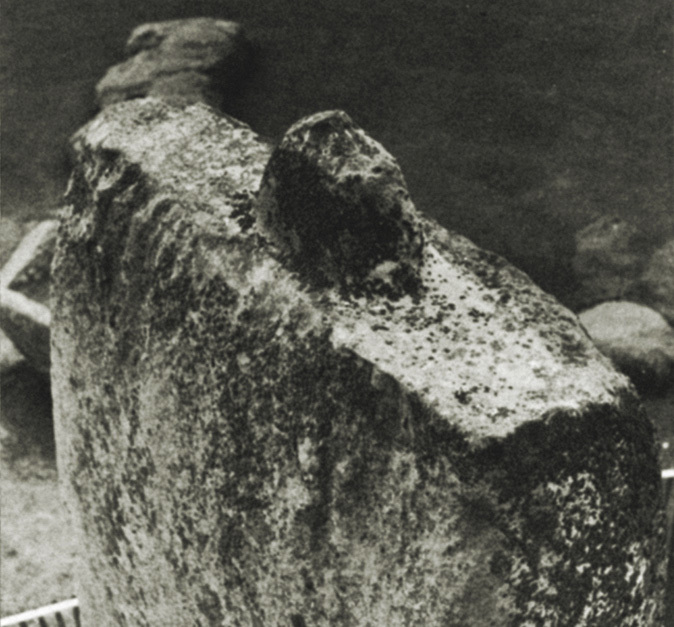 Given the sheer size and weight of the stones, what ingenious devices were employed? And what of the stones? 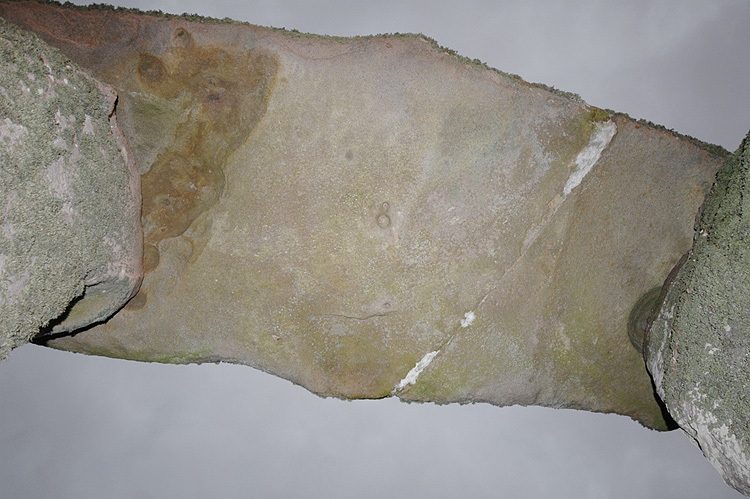 They are not typical of the local geology- indeed, the source of the bluestones, the first stones erected, has now been traced to the Preseli Mountains of south-west Wales. 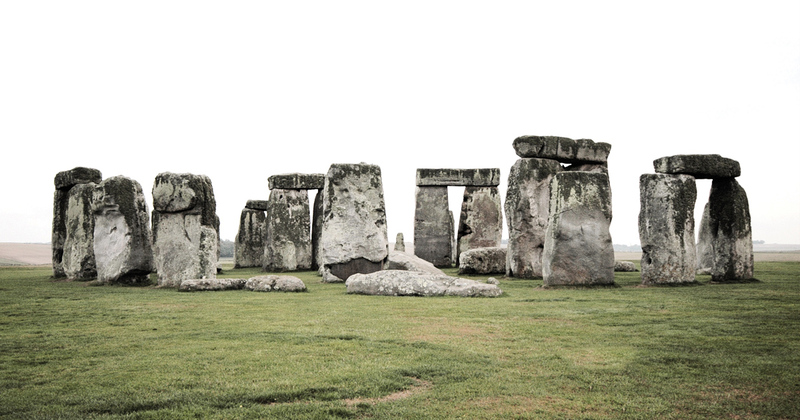 Somehow these enormous stones were transported to the Salisbury Plains. 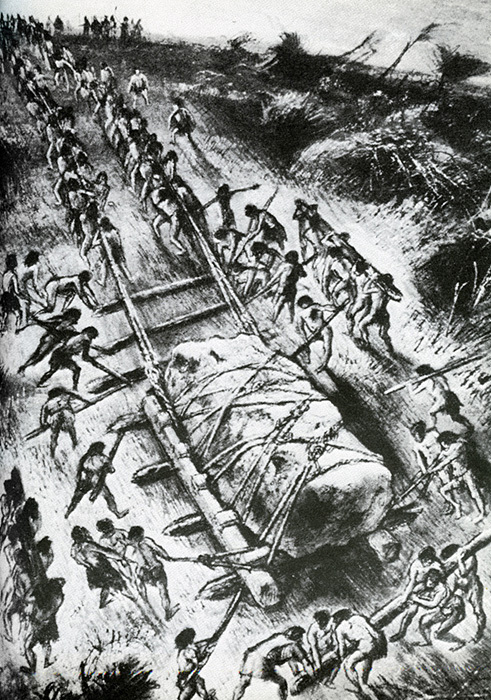 The stones were surely too heavy for timber rollers. Perhaps they were transported on sledges, on greased tracks of wood, pulled by rope that had been made from the plant fibre of the indigenous lime bark soaked in water for weeks. 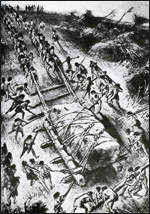 Modern engineering simulations have surmised that the massive uprights were hauled into place then tipped, using stone counterweights, into position, demonstrating an understanding of the centre of gravity. The technology was staggering. For example, even though the ground is slightly sloping, the lintels are perfectly horizontal. The craftsmen employed carpentry techniques - the lintels were dressed with mortises that would have fitted securely on to the tenons on top of the supporting sarsens, while tongues similar to toggle joints linked each lintel in the outer circle to its neighbour. It was in effect an enormous three dimensional stone puzzle. Whatever the methods used, for we are still not certain, they demonstrate an astounding level of both achievement and ambition. 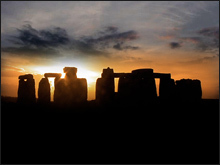 As to the purpose of Stonehenge, again we can only surmise. 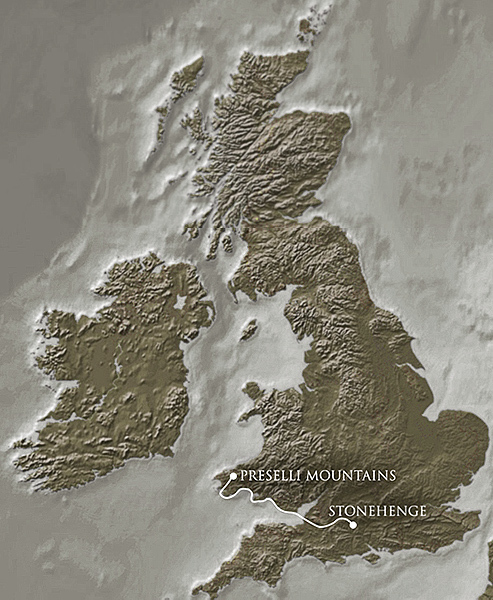 But clearly, the very scale of this unique megalithic structure suggests that the area itself was of importance. But for what? Was Stonehenge a temple to the gods? Who were the gods? 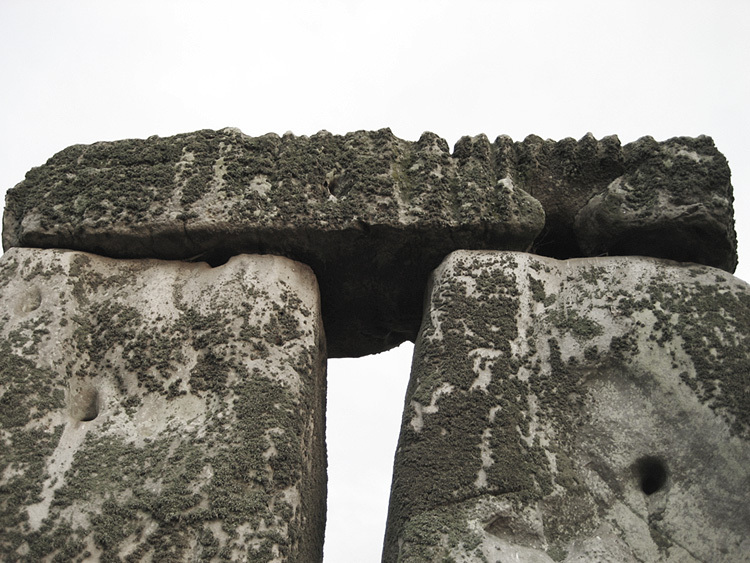 It is tempting to assign the giant sarsen stones to astrological alignement. The danger here is that you can find an alignement to almost anything if you search hard enough. 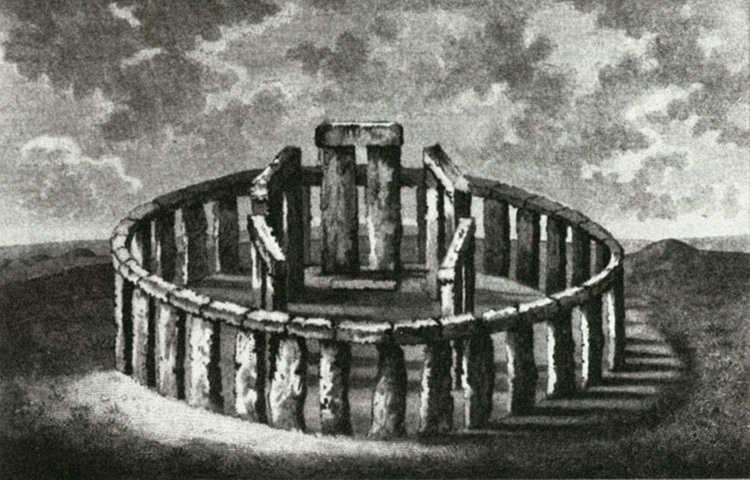 But one presents itself immediately - Stonehenge is aligned northeast-southwest, and it has been suggested that particular significance was placed by its builders on the solstice and equinox points, so for example on a midsummer's morning, the sun rose close to the Heel Stone, and the sun's first rays went directly into the centre of the monument between the arms of the horseshoe arrangement. It is unlikely that such an alignment can have been merely accidental. 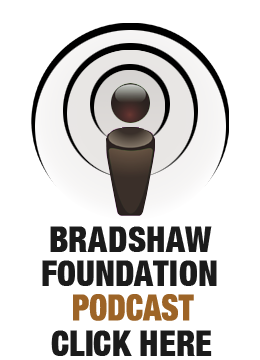 Or is this too simple? 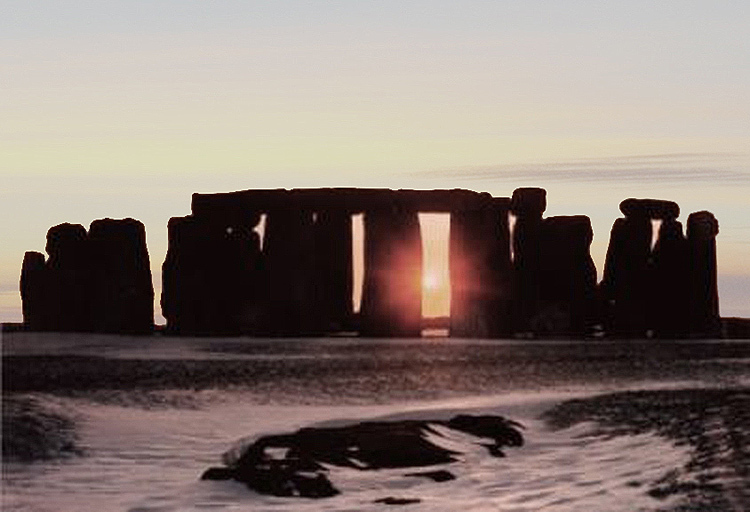 Turning 180 degrees, another alignment becomes apparent…..at the precise moment of the winter solstice, the sun sets exactly between the largest sarsen stones. To validate this, we must look at the society of the time. It had become a society now dependent on the seasons, which determined the success of agriculture. Would mid-winter have been more important to a society that had now become dependent upon the fortunes of these seasons? Psychologically, mid-winter would have been more of a critical turning point than the balmy days of summer. Perhaps therefore it is a mistake to overstate the monument’s spiritual significance. 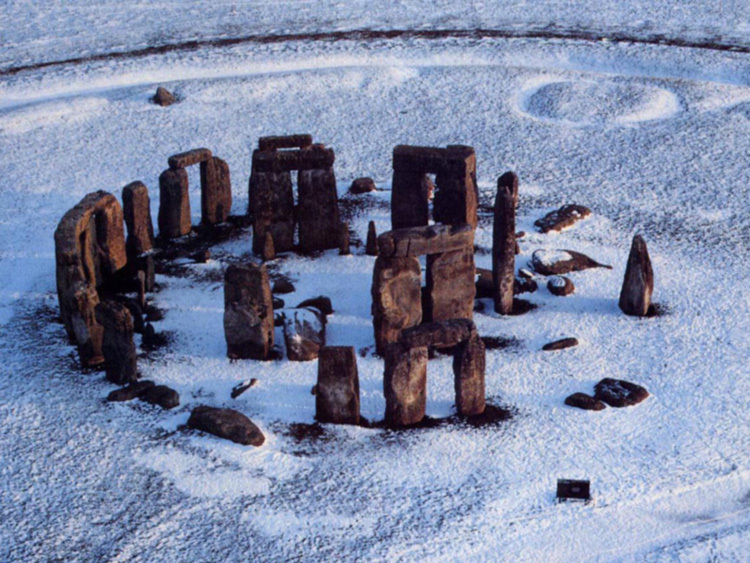 Certainly the area had been of importance prior to its construction, but it had become more than that - Stonehenge was a clock, a clock that foretold the time not only of the solstices but perhaps also of sun and lunar eclipses. This is not to say, however, that the priests did not utilise this very functionalism for religious importance - he or she who could announce or predict the return of the growing season would have wielded great power.